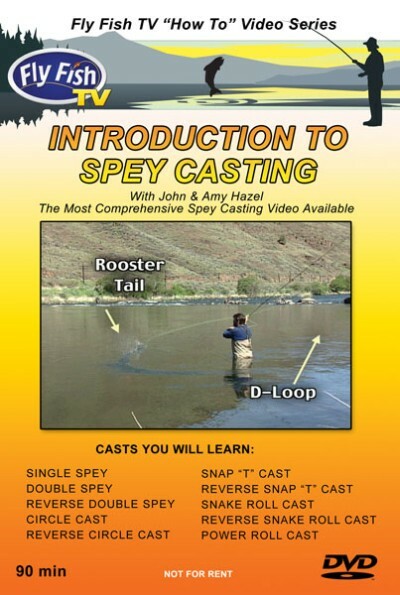 Step by step learning of the basic skills of ten spey casts; graphically demonstrated by this pro angling couple. 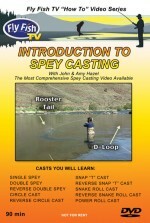 This 90 minute production is filled with detailed instruction on 10 different spey casts. Over 200 graphics help you visualize lessons that you can easily take to the water. John & Amy Hazel teach these lessons in a understandable presentation that will help to increase your foundation and skills. Another great Fly Fish TV video on DVD!